Ether Mailer was established with the commitment to help businesses succeed through reliable and cost-effective email marketing activities. We are a close-knit team of professionals with a focus on businesses of all sizes, who strive for high business growth. We have high expectations and constantly look for ways to innovate and improve. 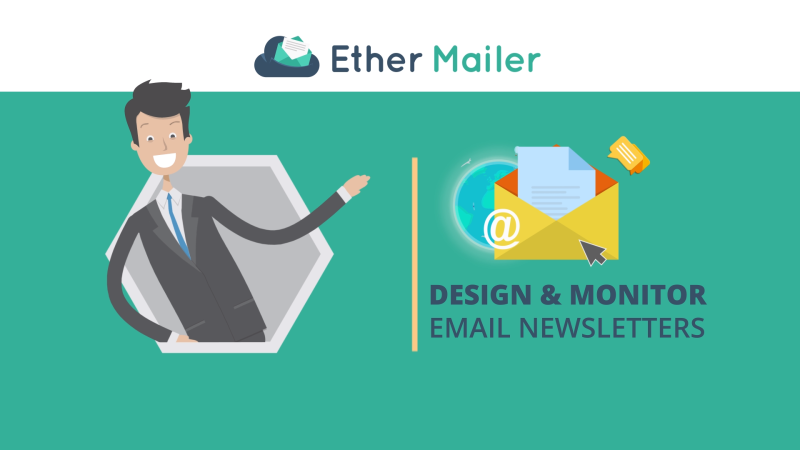 Ether Mailer’s solutions additionally include an easy to use email editor, a drag-and-drop editor, or – if you’re feeling creative – an HTML editor, with which you can create newsletters tailored to your aesthetics. We are proud to be a spam-free solution, achieving a consistent deliver ability rate. We serve hundreds of customers worldwide and have sent over 100M emails. Whether you strive for sales increase or informed subscribers, Ether Mailer makes it easy to grow your business. Make the most of our user-friendly platform and start crafting beautiful emails with an impact!